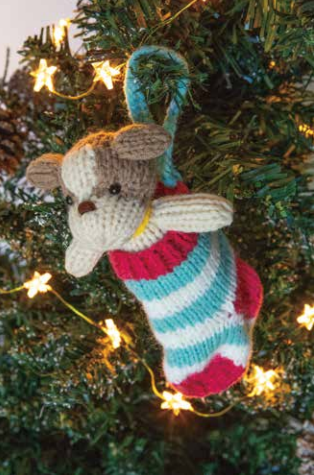 We knitters like to start our Christmas knitting in August, but sometimes that doesn't exactly work out, does it? 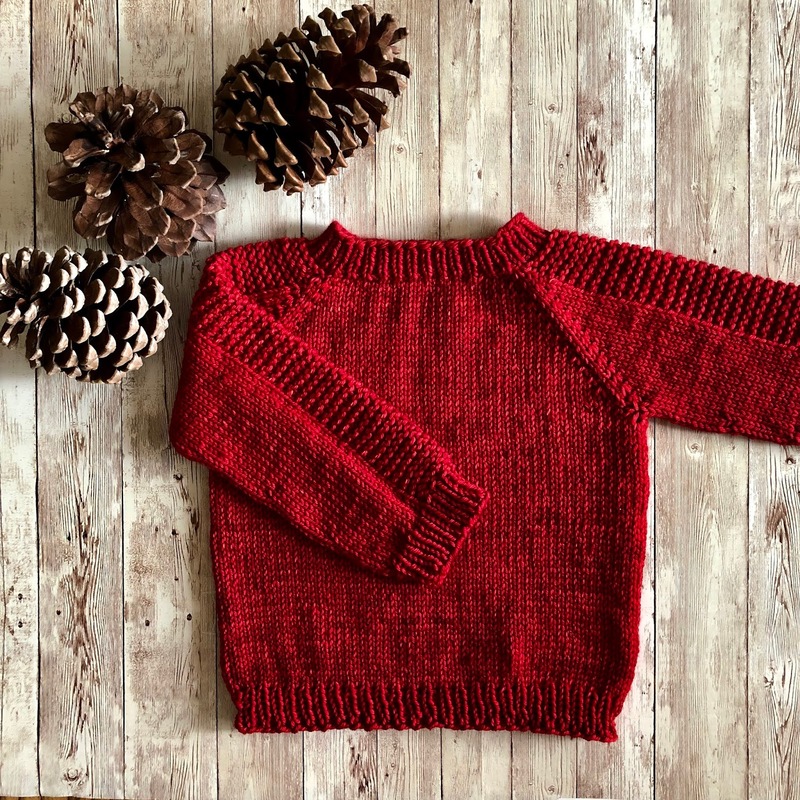 If you are in the need of a quickly made knit, I think you'll find something in this top ten totally fun and totally free list. The links are within the text, so have fun queuing away! 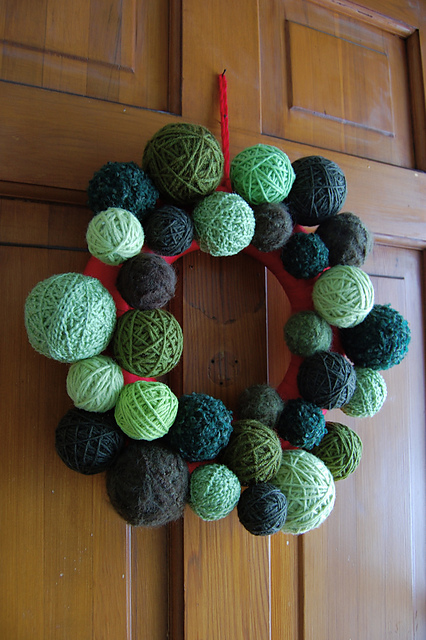 Fire up the glue gun for this charming no-knit wreath from thischarmingyarn. This HAS to be on my front door this year. Jean Gifford uses simple cables to create the most darling snowman! The above mittens were made by Corvid. 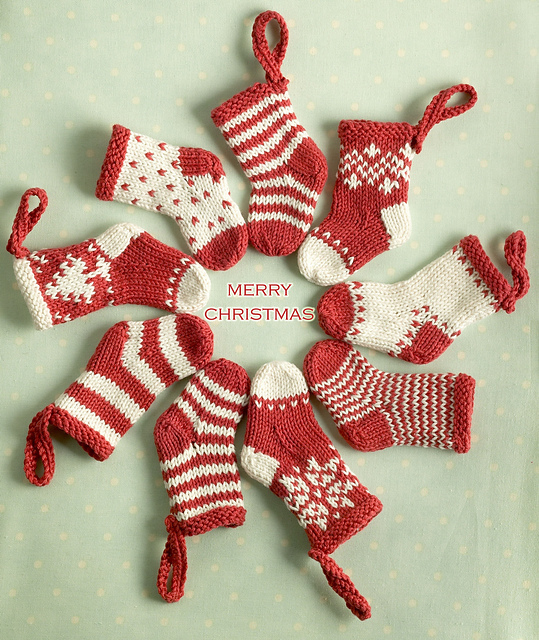 Julie Williams from Little Cotton Rabbits designed these lovely advent mini socks. 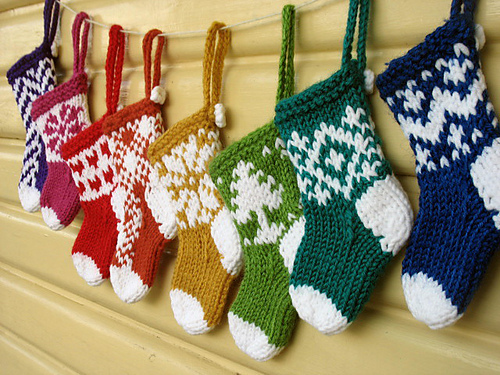 could be made quickly, but a half dozen seems possible and would look awfully cute on the tree. has inspired me for a set of family hats for next year. 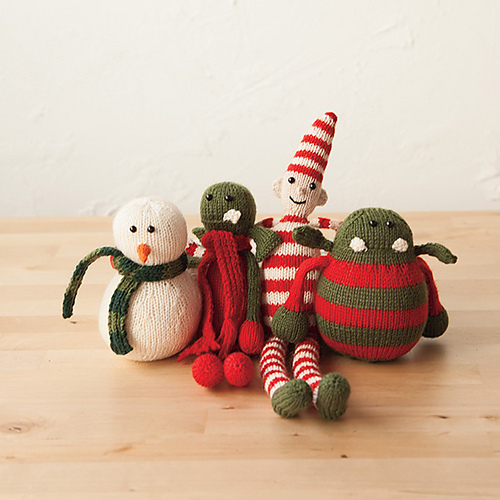 Rebecca Danger's Snowman, Elf and Christmas Monsters are just sweet! I hope you don't mind if I toot my own horn, but I do love my own little Christmas Dolls. The pattern uses craft supplies as well as knitting yarn, but it includes the specs on everything you need. 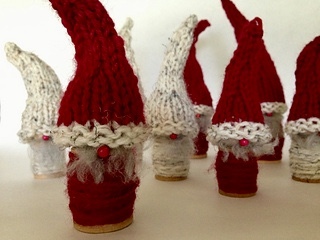 These Christmas gnomes use vintage wooden spools wrapped with yarn. 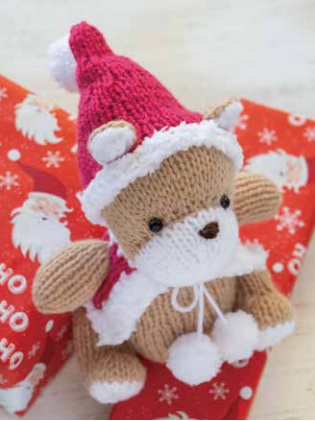 Pattern includes the directions to knit a very simple hat. Woodland Elves by Kristen Rettig. but also for chilly July 4th picnics at the beach. 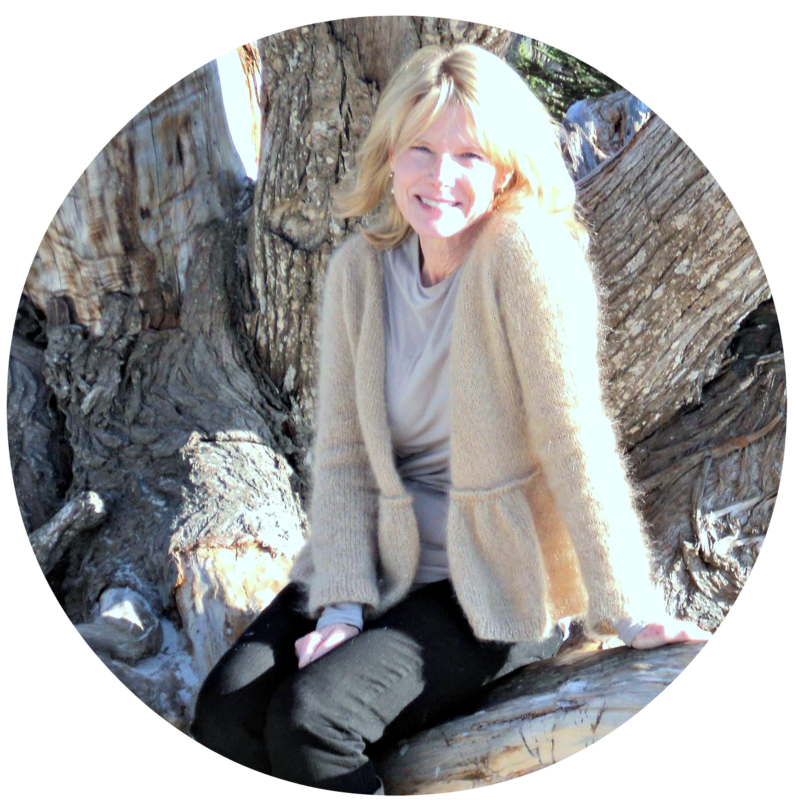 A fun, pretty, and easy knit. 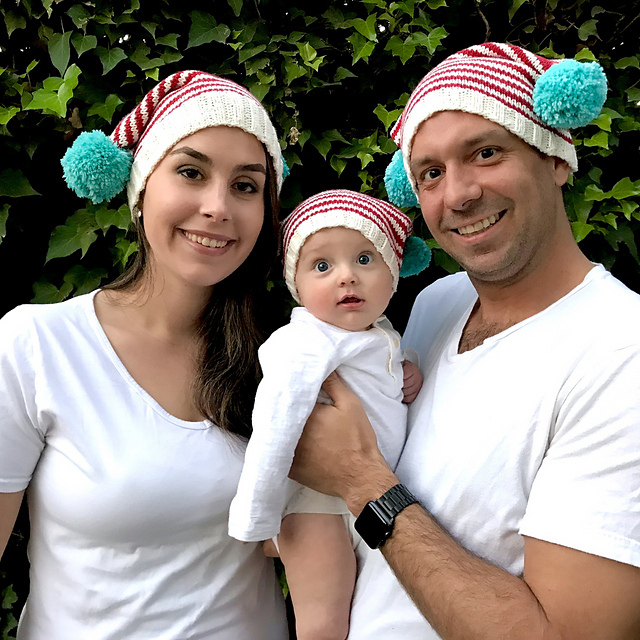 Last year I used the Mrs. Claus Boxy Hat pattern to knit a family's worth of hats for my son, daughter-in-law, and their son. Seriously, is there anything cuter than this? A family of hats really does not take much time. 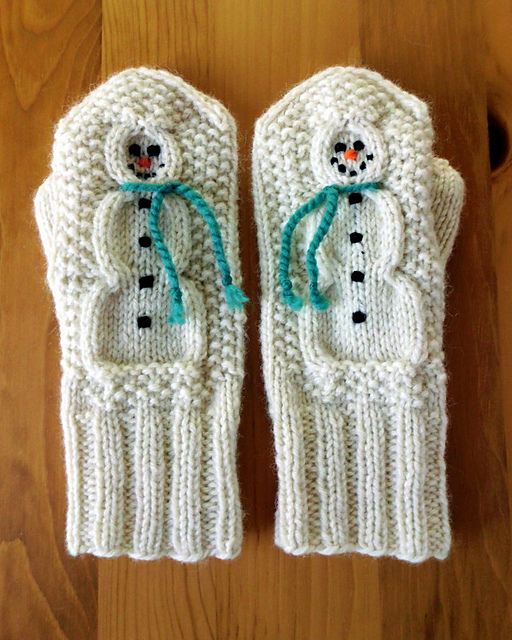 The designer says, "I haven't met a kid yet who doesn't love these mittens!" I believe her! 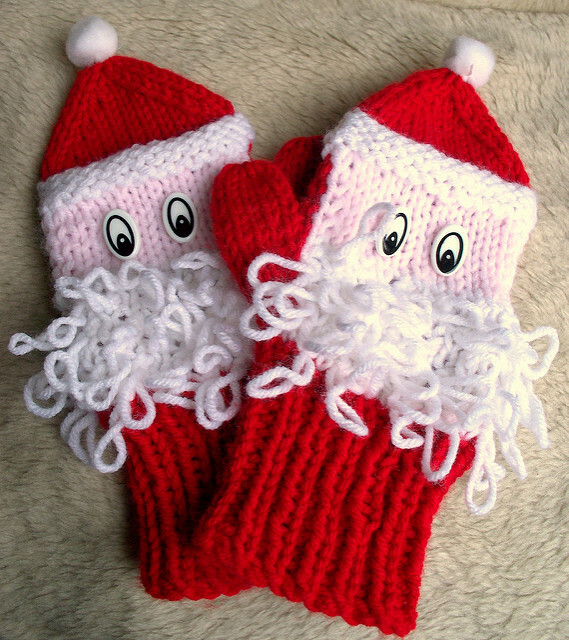 Santa Mittens from Theresa Pendlebury. I will have to make these for Carter one day. consider my Popsicle Toes pattern. 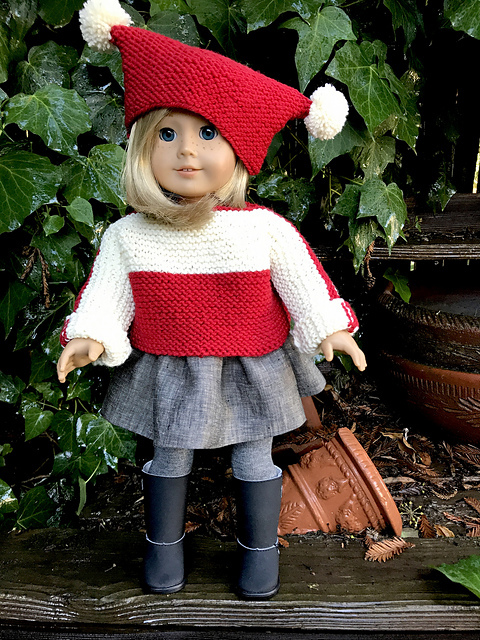 You can also knit the original sweater and hat for a child, also free patterns. French Macaroon Sweater by Noble Knits, sizes newborn to 4 years. Tiny Tot Hat by me, Kristen Rettig, sizes newborn, baby, toddler, and child. but if you need something quick, I knit Flax from Tin Can Knits in 3 days! and it, like all of the others on this page, is free. 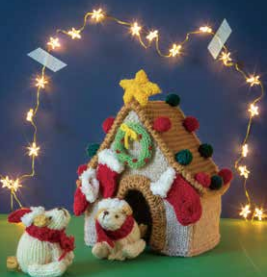 including the Santa Bear and doggie-in-stocking above, and the Christmas dog house below. I can count and know this is more than ten, but top ten sounds so much better than top fifteen! Thank you to all the designers who bring these special patterns to us for free. The lack of snow never stops me from knitting the woollies! I def. have those mittens in my must have list for Carter, and I love the Santa mittens too!